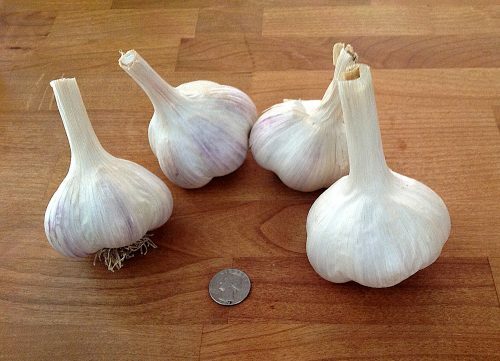 The high desert of Central Oregon at the elevation of 3680 feet with sandy loose soils are ideal for growing garlic. We have been selecting the best heads of 3 varieties of garlic. Another full flavored, easy to peel garlic with bright purple wrappers. 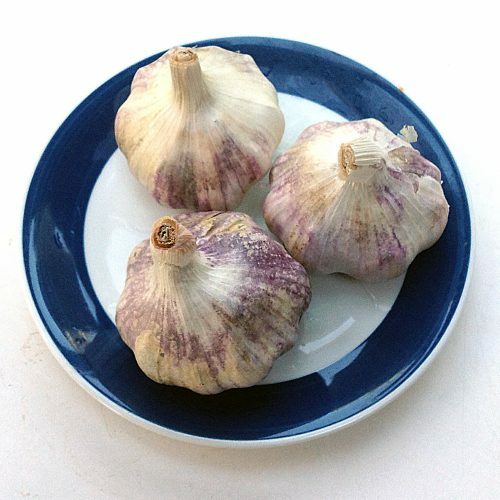 It is a purple strip variety hard neck variety, the oldest of all garlic types and easy to grow. Our premier variety with very large cloves, easy to peel wrappers and full delicious flavor. It is a porcelain hard neck variety that originated in the Caucasus Mountains. A mild flavored, juicy garlic excellent raw or roasted. It is an artichoke softneck variety with fairly large cloves and white wrappers. It is a braid able garlic.